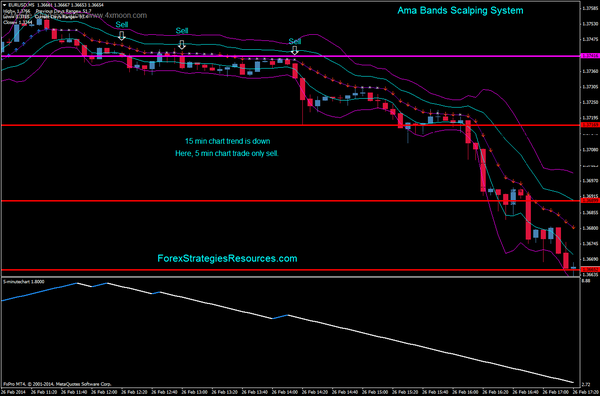 Ama bands Scalping System is based on two indicators Ama Bands and 5 minute chart. (15M timeframe Chart in this case). (in this case 15M timeframe trend). Ignore all signals against a a broader 15M timeframe trend! on your 5M timeframe (ignore it!) Wait for a “buy” signal to enter. indicators on a side trend. This is “MUST follow” rule#2. Stay away from using the signals and open trades on unclear trends. 5 minute chart line subwindow indicator is blue on the 5 min chart and 15 min chart. Ama bands blue arrow only on the 5 min chart. 5 minute chart line subwindow indicator is red on the 5 min chart and 15 min chart. Ama bands red arrow only on the 5 min chart. Exit position when the 5 min chart indicator change direction or on the pivots points levels. 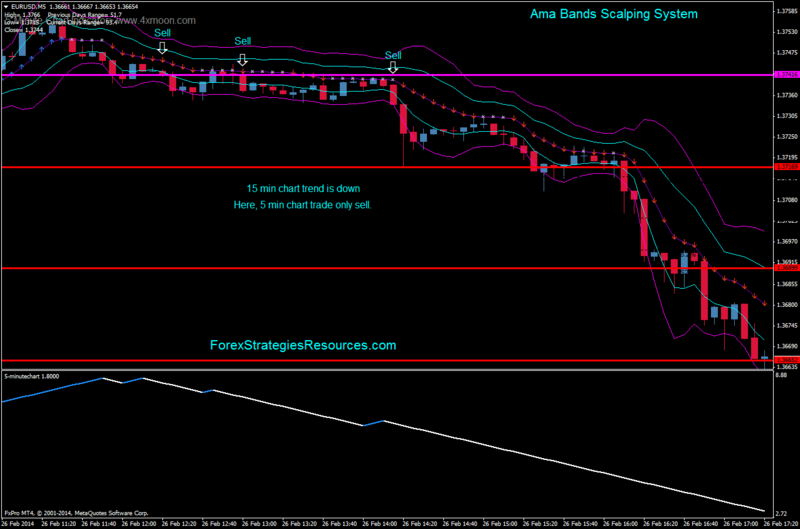 In the picture Ama Bands scalping system in action.